Learn to reap sweet, sweet rewards from paid search by utilizing a few tips to help streamline account management. It’s vital that you are familiar with tools and features provided within the interface and that you always look ahead for new tools and features on the horizon. 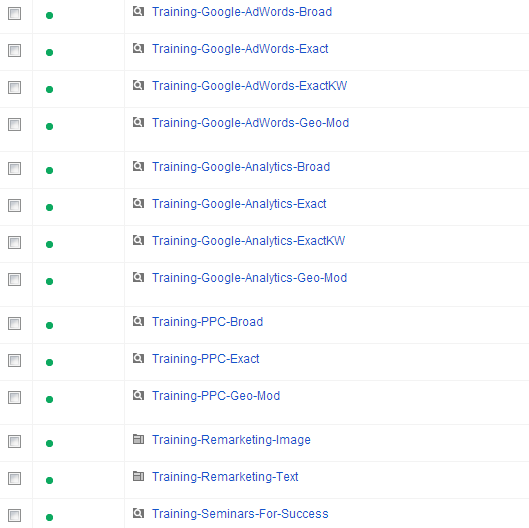 Simplify management by learning commonly used Google Ads account strategies and automation features listed here. Keep yourself in the loop by learning about and testing recently released Google Ads features. Check out the lists below to see some of my favorite tricks as well as some new and upcoming features that I’ve been looking forward to trying out myself. PPC managers know that there’s precious little time in the day to complete all of tedious management tasks and optimizations we are confronted with. Streamlining as many elements within the account as you can is a key factor to successful account management. With some careful planning, analysis, and knowledge of Ads tools you, too, can easily build a paid search account that ticks like clockwork. Check out some of my favorite Ads management tricks. It might sound rather simplistic, but campaign and ad group naming just might be one of the most fundamentally important aspects to consider when building a paid search account. Too often I’ve encountered Ads accounts that simply use names like Campaign #1 or Ad Group #3. Names like these are the default ones provided in the interface when you create a new campaign or ad group. This is a no, no because it inhibits your ability to quickly navigate and analyze performance. Search by Name – using the search filtering feature in the Google Ads interface allows you to quickly create groupings of campaigns or ad groups for reporting on specific sections of the account. There are several types of automated tools in Google Ads that EVERY account manager should be familiar with. 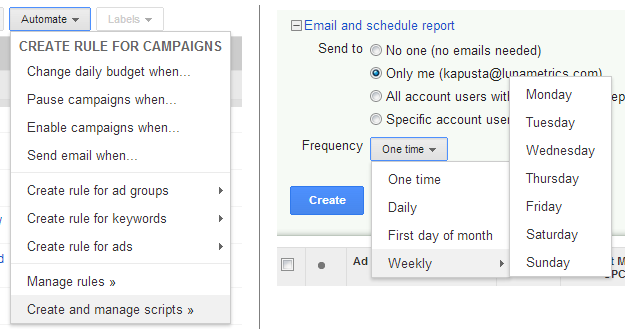 If you’ve never clicked the “Automate” button or emailed yourself a scheduled report, now’s the time to start. If you haven’t been using these features, then you’ve been wasting precious time. Learn them. Use them. You’ll be happy you did. Automated Reporting – automate when regularly viewed reports are delivered to your email inbox. You can opt to automate any report at any time. Pull search term reports every other week automatically. Generate cost reports monthly. Report on just about anything any time you want. Automated Rules – use to make automated changes to the account based on specific user-defined criteria. Pause keywords at a particular CTR threshold. Increase bids due to position. Pause campaigns after a specific spend is reached. Combine just about any metrics and actions. 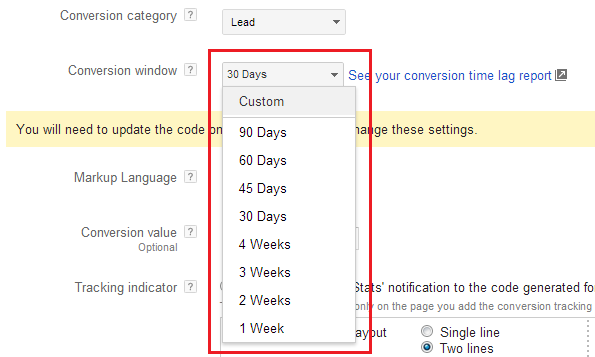 Again, take advantage of these automated features and reporting options made available by Google Ads. Your life will seem much easier after you do. 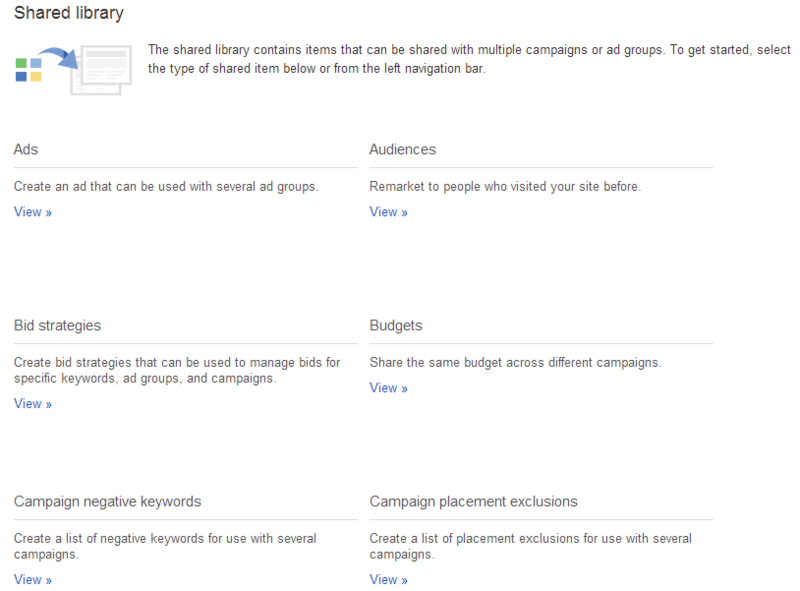 An all-too-often overlooked portion of most paid search accounts is the shared library. With the tools available here you are able to make changes that affect multiple campaigns, ad groups, or keywords in one swoop effectively making account-wide management a breeze. It’s just as important to stay up-to-date on recently released and upcoming Google Ads features as it is to know how to utilize the existing ones. Review your resources and follow industry blogs to get announcements on the latest changes in Google Ads and paid search (That’s why you’re hear, right?). Review extensions are the latest, greatest enhancement to the Google Ads platform. This ad extension offers advertisers a chance to pull relevant customer reviews directly into the ad unit from a variety of sites around the web. Adding a customer review to your ad copy is an incredible influencer on the decision-making process and you should test this as soon as possible. If I had to guess, most advertisers should see an increase in CTR soon. Not all businesses have the same sales cycle. There’s a huge disparity in the length of time a user takes to purchase a book about Ferraris versus buying a 2014 Ferrari 458, for example. Google has finally recognized this and has incorporated some clever functionality into the Ads system. Up until now the cookie window for any Ads conversions has been thirty days. This window is now customizable up until 90 days and as little as seven days which gives advertisers a much more control over their data. They may now see influencers and converters in their data that had never appear before due to the previous restriction. Google has added to the interface the ability to project conversions, and estimated cross-device conversions are expected to be hot off the press any day now. Keep your eyes peeled for this one. This report should provide detailed analysis of your campaigns and give you a better understanding of how Enhanced Campaigns are affecting your paid search. You know your account better than anyone else. Combine that knowledge with current and upcoming Google Ads tools and features to make the most of your time. 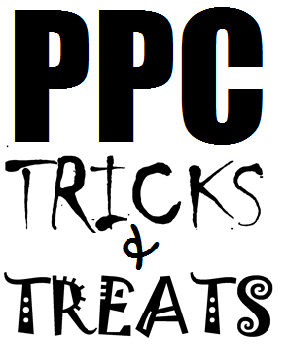 Test automation features, stay on top of new product releases and always be looking ahead for new paid search tricks and treats. What’s the newest Google Ads feature that you get the most use out of? Leave a comment… if you dare.